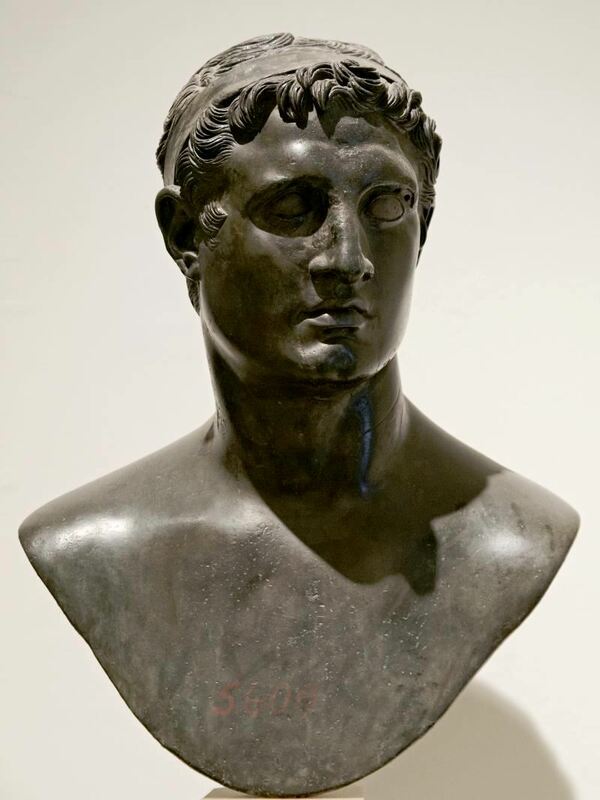 Ptolemaios II was the king of Ptolemaic Egypt from 283 to 246 BC. He was the son of the founder of the Ptolemaic kingdom Ptolemaios I Soter and Berenice, and was educated by Philitas of Cos. He had two half-brothers, Ptolemaios Keraunos and Meleager, who both became kings of Macedonia (in 281 BCE and 279 BCE respectively), and who both died in the Gallic invasion of 280–279 BCE. Ptolemaios was first married to Arsinoë I, daughter of Lysimachus, who was the mother of his legitimate children; after her repudiation he married his full sister Arsinoë II, the widow of Lysimachus. During Ptolemaios II's reign, the material and literary splendour of the Alexandrian court was at its height. He promoted the Museum and Library of Alexandria, and he erected a commemorative stele, the Great Mendes Stela.